Home » Films » New poster for The Brothers Bloom. 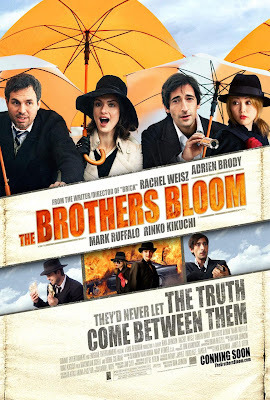 New poster for The Brothers Bloom. I know some of you might ask: Is this really worthy of a new post? After having finally read the screenplay for The Brothers Bloom, I can say that anything related to this film is worthy of posting. Brick was a good film (especially when you take into account the fact that it was made for 500k), but TBB could take Rian to the next step. October 24th, mark it on your calendars. Rumor has it that we get a shot of Mizz. Weisz’ tuckus…that might be worth the price of admission by itself. Don’t know about The Brothers Bloom??? Then read all about it!